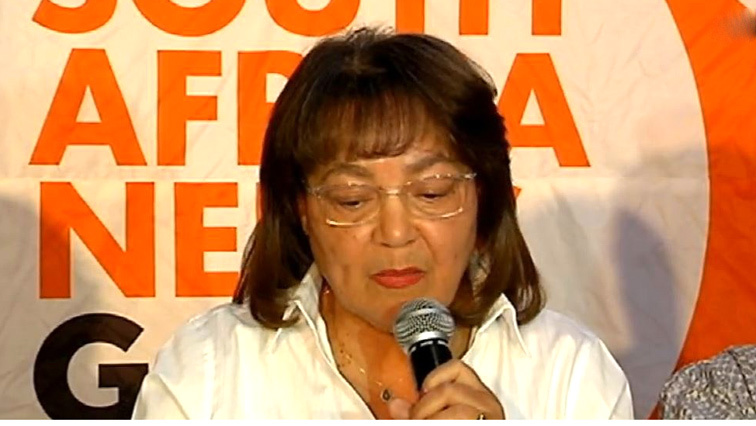 De Lille reveals Good Party’s interim leadership - SABC News - Breaking news, special reports, world, business, sport coverage of all South African current events. Africa's news leader. De Lille is interim party leader, while former Cape Town mayoral committee member, Bret Heron is the Secretary General. Former Cape Town mayor Patricia De Lille has revealed names of the Interim National Leadership Committee of the Good Party. The 36-member committee will be responsible for taking the party to the general elections, after which a national conference will be convened to elect leadership. De Lille says at the core of the policies adopted at their conference in Cape Town is a spatially, socially economically and environmentally just South Africa. De Lille is interim party leader, while former Cape Town mayoral committee member, Bret Heron is the Secretary General. Nthabiseng Lephoko is National Chairperson and the National Treasurer is Masego Kwenamera. Former Cape Town Chief Whip, Shaun August is the national organiser. Other leaders include Vivien Laverge and Marius Gysman. When asked if it is not too late to choose a committee now when the elections are in May, De Lille says that it is never too late. De Lille says Good will make a radical departure from the current way of governing. It will put cities and towns at the core of governance. She has warned voters that they’ll, once again, be promised jobs as part of electioneering. She says those who make such promises aren’t honest and truthful. Good, she adds, doesn’t support the decision of Parliament to amend the Constitution to allow for the expropriation of land without compensation. De Lille says there is nothing wrong with Section 25 of the Constitution.